Complete list of Fire safety consultants companies in Pakistan. You can find the updated list of Fire safety consultants companies in Karachi, Lahore, Islamabad, Rawalpindi, Multan, Peshawar, Quetta, Faisalabad and other regions of Pakistan with their address, maps, locations, vendors and consumer reviews. You can also compare the Fire safety consultants companies here and find the best Fire safety consultants companies here. You can also find the jobs related to Fire safety consultants companies here. Aasi & Sons is the company working in Karachi and providing solution window for all kinds of Engineering and sell lot of products. Mobilesin is the company working in Multan and providing their valuable services by updating all the mobile prices on daily basis. Safety Links is the consultants working in Karachi and they offers complete residential and commercial security and surveillance solutions. Global Technologies is Located at the very known location of Karachi and they are nationally recognized provider of custom designed security & surveillance equipment. 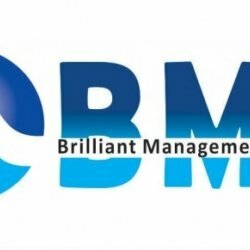 Brilliant Management System is leading ISO Consultants in Pakistan. They help their customer in achieving the world class standard and quality control.